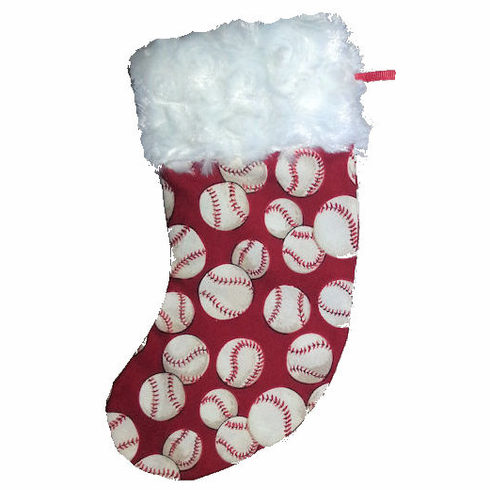 These mini baseball Christmas stockings are hand-sewn and hand-crafted by Baseball Nana Carolyn Hurm! Perfect for giving gift cards to everyone on your list! Each mini stocking measures appx. 9" tall. Red baseball material on front and back, solid red loop to hang up on your Christmas tree as an ornament this holiday season! Minor imperfections are possible because these are hand-crafted in the USA!